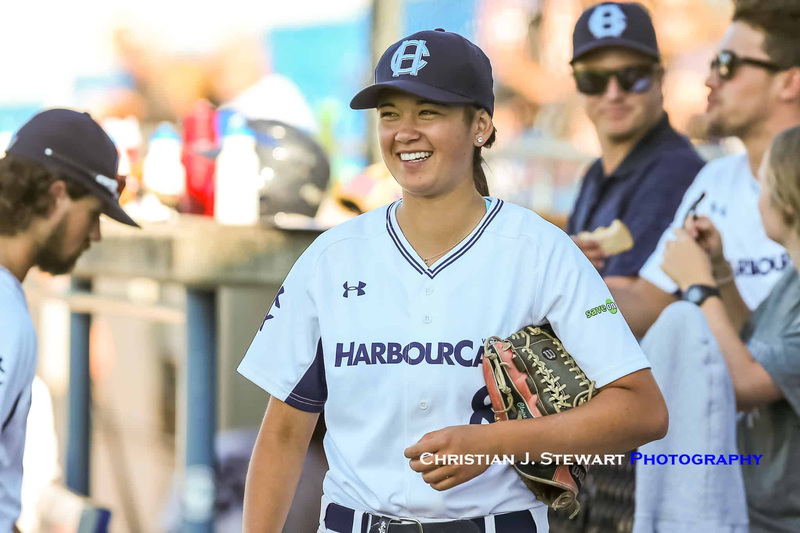 There has never been a better time for girls in the sport of baseball, and the Victoria HarbourCats and Baseball BC are proud to be able to play a role in the growth in that sector of the game. Today, Baseball B.C. and the HarbourCats are pleased to jointly announce a partnership that will see Baseball BC, the provincial body governing the sport, as the major sponsor for the Monday, June 17 night at Wilson’s Group Stadium at RAP in Victoria, when the HarbourCats retire the #8 jersey of left-handed pitcher Claire Eccles, who has graduated following two years in the West Coast League. Eccles, now completing her senior year at UBC, debuted with the HarbourCats in 2017, and returned for the 2018 season. Thanks to Baseball BC, each and every girls baseball player on Vancouver Island who comes dressed in uniform that night will be eligible to attend the game free of charge (General Admission seating) and be on the field for the festivities that will see Claire’s accomplishment of becoming the first, and so-far-only, female player in West Coast League history. Baseball BC is the official sponsor of HarbourCats youth camps, led by Curtis Pelletier, Director of Player Development. Pelletier is supported by HarbourCats players, by Head Coach Todd Haney (a former MLB player), and by HarbourCats assistant coaches Troy Birtwistle, Jason Leone and Ian Sanderson. 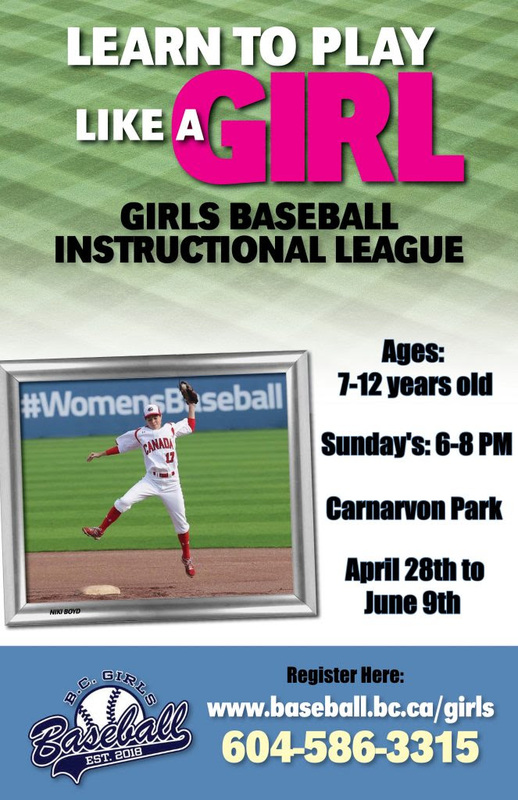 Baseball BC is also proud to be presenting the Girl’s Baseball Instructional League that will run on Sunday evenings at Victoria’s Carnarvon Park from April 28th to June 9th. Girls ages 7-12 can register for this league by calling Baseball BC at 604-586-3315 or visiting their website at www.baseball.bc.ca/girls. That Claire Eccles Jersey Retirement Night will see a celebration of women in baseball, and the HarbourCats and Baseball BC are working further on programs that will see the WCL team do a second Island tour, visiting kids in Duncan, Ladysmith and Lake Cowichan on Tuesday, June 11.